Project specs: The project is highlighted by the use of over 15,000 square feet of hand-seeded blue glass to create a sparkling water effect. 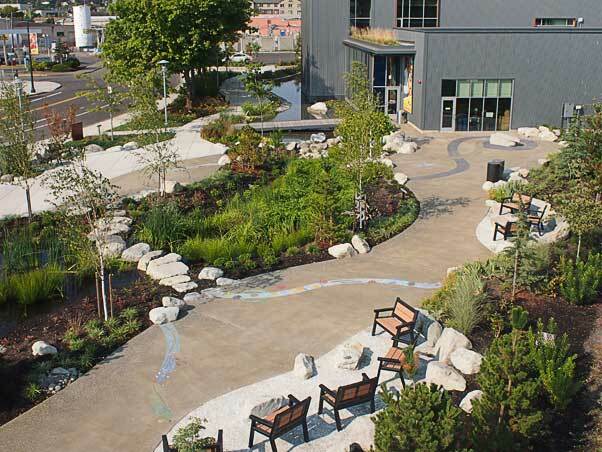 All the glass was recycled material that provided a more durable and safer texture for the sprayground surface. 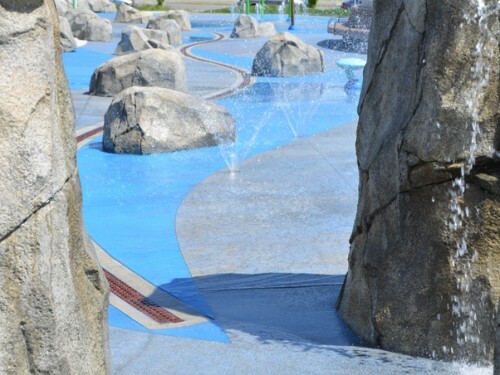 Products used: The project used several Lithocrete products and blue concrete stains, highlighted by the hand-seeding of the recycled blue glass representing a flowing stream appearance. 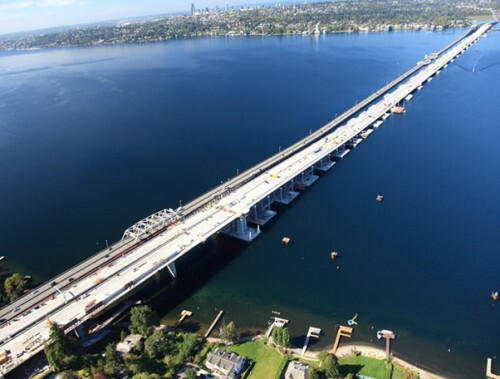 Project specs: The Belarde Company crews built the pre-cast floating bridge deck placements. The deck placements are the driving surface of the bridge. Each precast panel is 15’ x 56,’ requiring 46 cubic yards of concrete. In total, 24,564 cubic yards of concrete was poured to manufacture 534 separate panels. The panels were fabricated in Kenmore, Washington, then barged to the construction site of the bridge. 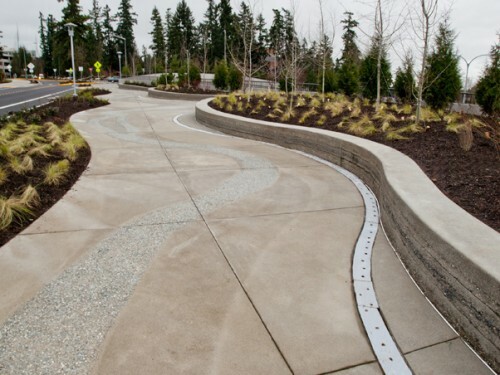 Project specs: Placement of 22 colors of ready-mix concrete in circles and bands, as well as colored pervious concrete bands. Eight of the colors were placed using hand seeded Lithocrete colored glass aggregates. 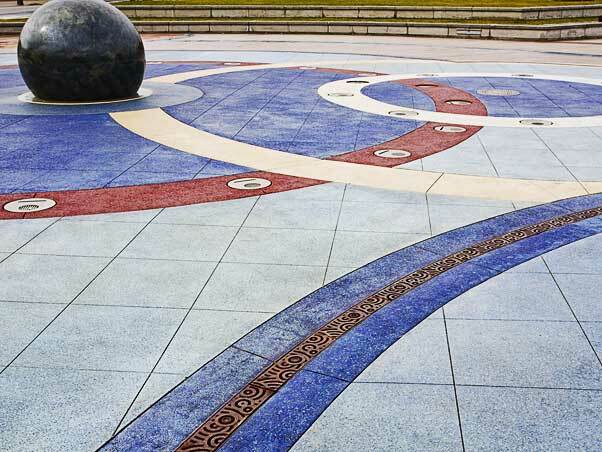 Products used: Lithocrete Lithomosaic; L.M. Scofield Co. Chromix Admixtures (integral color) in limestone, Sombrero Bluff, Coachella Sand and Shadow Slate; L.M. Scofield Co. Lithochrome Chemstain Classic stain in Weathered Bronze.